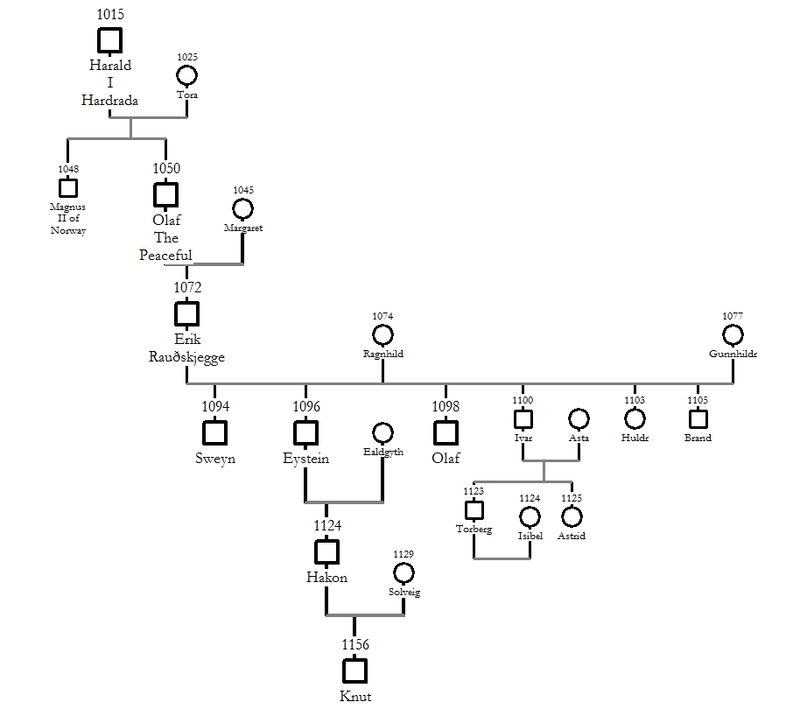 Here are a few selected family trees – I have omitted a considerable amount of data, to avoid future and current spoilers – or simply where I have not decided yet! The names of crowned monarchs, as of 1165, are shown in a larger font. A selection showing the lineage between Tostig Godwinsson (or The Righteous, as he is sometimes known in 12th century Ængland). As can be seen, Tostig took the expedient decision to marry his first daughter to the last of the Saxon line descended from Alfred the Great – Edgar, son of Edward the Exile. This, he felt, gave the Godwinsson family further legitamacy in claiming the Ænglisc throne in the aftermath of 1066. 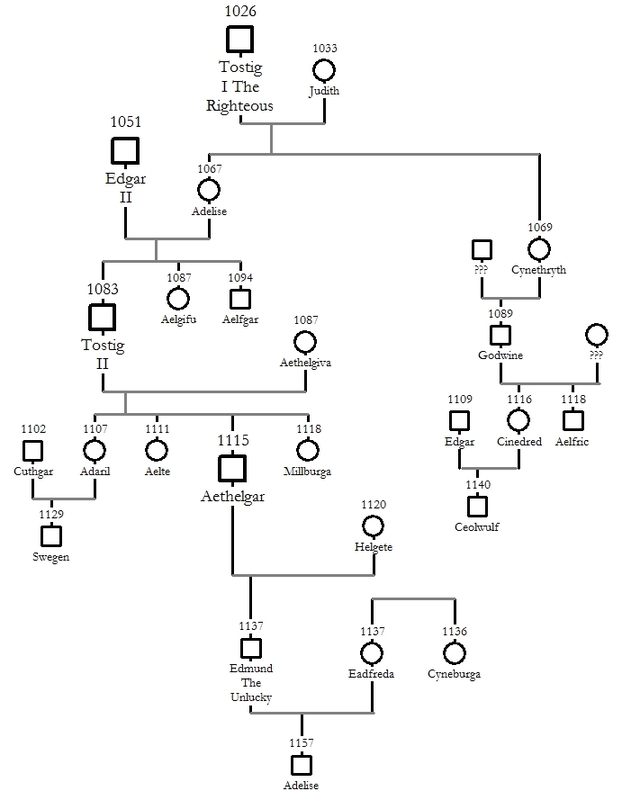 An edited tree showing the descendents of Harald Hardrada to Hakon and Knut. As Edgar married Tostig’s daughter, his sister Margaret married Olaf, Hardrada’s son, thus uniting the previous ruling Saxon family and the newly arrived Norse monarchy. Olaf’s elder brother, Magnus, returned to Norway to become king on their father’s death. The tale of Olaf’s grandchildren is told in a yet-to-be published Northland novel.